JOB – DRIVER WANTED? 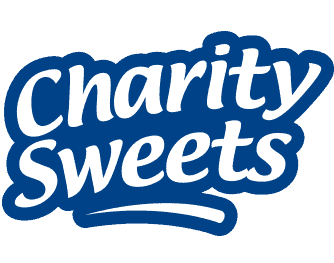 – Charity Sweets by Sweet causes Ltd.
Home / Job Listings / JOB – DRIVER WANTED? We are currently looking for a driver who is required to deliver stock covering the whole of the UK from as far as Scotland right through to Plymouth. The position could be an Ad Hoc / Part Time or this position may in time grow into a full-time position depending on the right applicant. You will be responsible for loading and unloading the vehicle and delivering stock to our sales collectors sites right across the UK from as far as Scotland to Plymouth. Additional hours will be offered in particularly at especially busy times of the year. Load the van where required, and check your van for roadworthiness. Vehicle will be provided, lifting equipment, Health & Safety clothing. Age and insurance requirements, you must be over 25 years of age. Have had a full clean UK / EU driving licence for at least 2 years with no more than 3 penalty points. Have general knowledge of UK roads and mapping. Able to adapt and change within situations or change of locations of deliveries at very short notice. Understand the schedule and route that has been calculated for you. Consideration and to act upon urgency, pace and deadlines. Healthy and physically fit and be able to lift and carry boxes – (weights not exceeding 3.5 ton). Must be reliable, honest and full trustworthy. Willing to help sales collectors where needed. Are personable with a good sense of humour and excellent communication skills. Are able to take the initiative and use common sense. Taking the time, care and consideration for the company and your colleagues. Can stay calm under pressure. Maintain personal appearance and wear and maintain Company issued clothing where provided. Participate in all training related functions as required by the company. Participate and take an active role in all staff meetings where appropriate. Participate and take an active part in branch stock taking and help in auditing processes within the company. Promote a positive image for the company and the charities the company represent. To assist with additional duties, willing to go that extra mile and to maintain that your working surroundings are kept clean and tidy. To have due regard for Health and Safety of others whilst undertaking your duties. To immediately notify Line Manager of any vehicle defects and give advance warning of vehicle maintenance schedule. To carefully observe Company procedures regarding accidents and insurance claims and to report any accidents or other occurrence relating to the Company vehicle without delay. To ensure secure collection of payment for all cash on delivery invoices at time of delivery, unless otherwise directed by the Company Management and to ensure its accuracy. To keep the vehicle, clean at all times and carry out daily checks on oil, water, battery, lights, tyres, fuel and report any new damage. To carry out any reasonable request as directed by the Company Management. To organise deliveries in a prompt and efficient manner and to maintain all records and paperwork as required by the company. To maintain good customer relations with everyone in the company by being courteous and helpful at all times and to report any problems that may arise from goods or services supplied by the Company. To drive the company delivery vehicle in a safely, responsibly, careful and courteous manner with due regard to the Road Traffic Act and Company Procedures and within the law, informing the company immediately notify of any pending endorsements or prosecutions against your licence. Good planning and organisation skills. Be supportive to the company and of the charities the company are involved in. We are sorry but if you have been disqualified from driving within the last 10 years, we will not be able to accept your application. Please be aware that as part of our recruitment process, job offers are subject to a Criminal Record Check, which will be carried out by an external third party. We operate a non smoking policy within all company vehicles and the workplace.